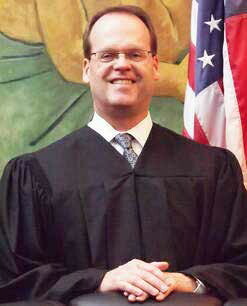 Judge Andrew Jones has served as the judge in Branch 40 of the Milwaukee County Circuit Court for the last six months. Judge Jones is seeking to retain his seat on the bench in the upcoming election on April 2. Prior to joining the bench, Judge Jones had twenty-four years of courtroom experience at every level of the state and federal court systems. He sat on the boards of directors of two major law firms as a practicing lawyer, and he also served for more than a decade in various leadership roles in his firm’s diversity, recruiting, mentoring, and attorney development programs. Judge Jones currently sits on the board of directors of the Milwaukee Bar Association Foundation, which helps fund and oversee the Milwaukee Justice Center, which utilizes volunteers to address the unmet legal needs of Milwaukee County’s low-income, unrepresented litigants. He also sits on the board of directors of Feeding America Eastern Wisconsin, a leading hunger relief organization, and he volunteers as a mentor through the federal bar association in Milwaukee. Based on his experience as a practicing lawyer, his commitment to the community, and his work on the bench, Judge Jones has earned broad support for his campaign to retain his seat in Branch 40. He has the endorsement of thirty-eight current or former Milwaukee County judges, including four prior chief judges and three of four current appellate judges. Almost seventy-five percent of the current Milwaukee County Circuit Court judges who have endorsed a candidate in the election for Branch 40 support Jones. To learn more about Judge Jones and his campaign, visit https://www.judgeandrewjones.com.